Where your investment property is situated is a critical component to its success. However, you shouldn’t look at just the location itself—it’s important that you study and consider what’s happening within and around it as well as this will impact its potential for property market growth and your property’s future performance. While dwelling prices in Australia have increased by almost 4% over the last 10 years, much of this growth has been confined to certain areas. From the local employment market through to the planned infrastructure, being able to recognise the indicators of property market growth is essential to any clever property investor. Although it’s impossible to forecast the future with 100% accuracy, there are key factors that can help you make sound decisions, such as the ones below. Having favourable employment conditions and a growing employment market is a big positive when it comes to judging an area’s potential for property market growth. The more people flock to a location for employment or businesses opportunities, the more housing demand will be created. Your investment property’s future performance depends greatly on the surrounding location and its capability to meet the economic needs of local residents. Employment is a huge consideration for most people, so looking into the trends affecting local industries, job opportunities, and any other substantial developments that may affect the employment scene in your target area is important. For example, 62,269 extra jobs were created in Greater Sydney from June 2015 to June 2016, during which time property values in the region also increased substantially. Local real estate market stats need to be considered, including property market growth and a property’s days on market. Along with the advantages and disadvantages of specific locations, it’s important to analyse property market trends and how they are likely to influence your decisions. Generally, you’ll want the location of your investment property to have an upward trend in terms of property price and rental growth. You can have your property manager take a look at the figures for the past few years to see if the numbers are going up, down, or stable so you can make a more informed decision. You’ll also want the property’s days on market figure (the number of days a property has been on the market) to be lower as it can be an indication of the desirability of the property. If a property has been on the market for many days, then you might be missing an integral negative aspect about it and the less attractive the area might be. This can have a damaging impact in terms of property investment as this could mean there’s no strong demand to command a higher price in rent or resale. An increase in the level of infrastructure building and services are other important indicators of property market growth. More activity is usually associated with favourable forecasts on business and employment opportunities trends which, as we’ve said, increase property demand. It could also mean that area will become more favourable when it comes to having amenities and facilities, potentially driving property prices higher. Assess the situation and observe if there are plenty of construction underway. Take a look at not just buildings but also at roads and public service facilities such as drainage, power supply, and NBN systems. Research if there are plenty of planned and approved infrastructure projects or improvements for the next few years as this indicates that the area will be developed further, generating and sustaining demand for the near future. Finally, knowing if there are new schools, hospitals, grocery stores, or other major building developments planned for a location is another great indicator of property growth. With the introduction of new services comes greater employment for an area and decreased travel time for residents. These factors can greatly increase a property’s desirability for rental or resale. Property investors always aim to increase their ROI. By paying close attention to these indicators, you can discover areas with amazing growth potential. If you ever need more advice and assistance in property investment, don’t hesitate to consult with the experts. 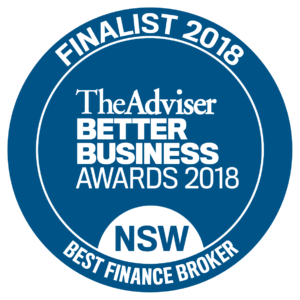 At Clever Finance Solutions, we specialise in helping our clients make the right financial decisions, whether in property investment, choosing the right kind of loan, or expanding their investment portfolio. Don’t feel you’re alone in your journey to secure a better financial future; our amazing team is always here to help you.